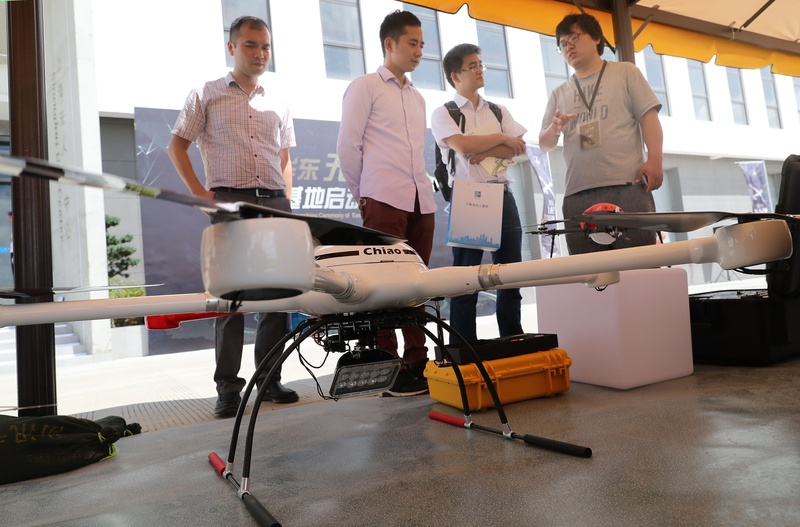 China has developed X-M20 "Crane", a small-size multi-rotor unmanned aerial vehicle (UAV), which can climb up to 5,000 meters, said the China Helicopter Research and Development Institute (CHRDI) Tuesday. The electricity-powered small UAV features distinctive pitch control technique, which makes it unique in the UAV market, said CHRDI, China's leading helicopter research organ of Avicopter under the Aviation Industry Corporation of China (AVIC). X-M20, with the weight only 20 kilograms, is designed to have a service ceiling up to 5,000 meters and wind resistance capacity up to seven level. China has become a major player in the global helicopter market. Avicopter has mastered more than 50 models in 12 series of helicopters, making it among the world's seven leading helicopter manufacturers.